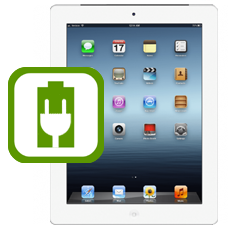 Have you broken the dock connector / charging socket on your iPad 3? Do not worry we offer a low cost fast UK based repair service for the iPad 3. Our certified technicians will replace the faulty dock connector and restore your iPad 3 to full working order.Typical symptoms of a faulty dock connector are when you plug your iPad 3 in to charge nothing happens and the iPad will not show any signs of charging, however the iPad may still connect to iTunes when plugged into a computer. Other symptoms include the iPad 3 not connecting with iTunes.